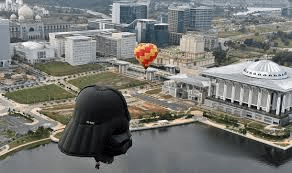 Today we bring the Darth Vader Balloon to the warehouse for the shipping to Asia. First step of our Schedule is Putrajaya in Malaisia, close to Kuala Lumpur, this administrative city the one of great place to visit in Malaisia. It will be our 3th participation for this festival, a lot of fun is coming !